From 1% in 1995 to 40% of the world’s population using internet today, number of people consuming entertainment video content over internet has increased dramatically. A lot has changed in the way people watch TV today, thanks to the OTT ecosystem. More than 50% of world’s population is streaming their favorite live sports, subscribing to online video content and are surfing movies on-demand. And all of this is possible because of the variety of OTT content that is being made available today. SO, What Exactly is OTT? OTT (over-the-top) simply means delivery of media content over internet, bypassing the traditional modes of distribution. Does that mean whatever we consume through the medium of internet including social media, messaging, movies, YouTube, TV, everything comes under OTT? Yes, to an extent. We would rather categorize OTT into two different contexts: OTT Messaging and OTT Video. As we all see, the exchange of communication is largely carried out over internet today, from WhatsApp replacing text messaging over mobile networks to Skype replacing traditional mobile phone calling. This phenomena of exchanging communication over internet is named as OTT messaging. This is where Netflix, Hulu, Amazon, YouTube and other video distribution services come in, which are distributed through internet. 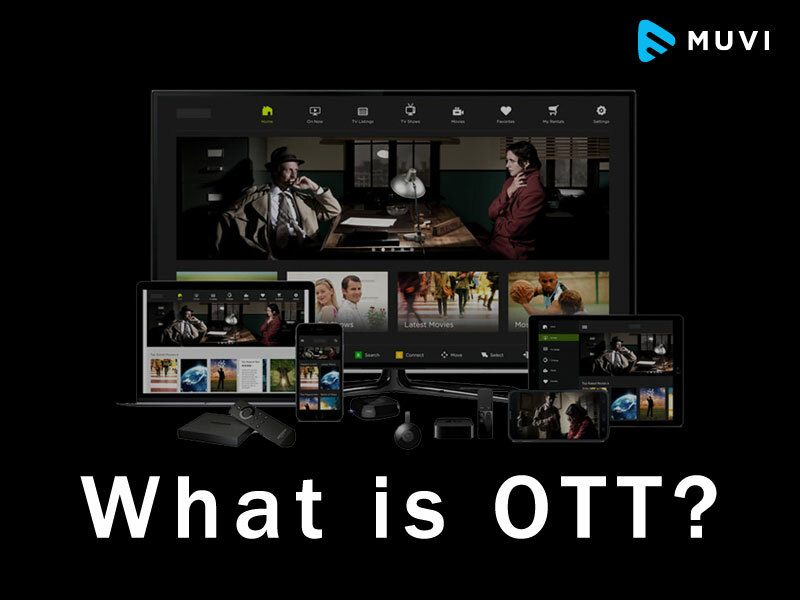 OTT Video, to describe in simple words, is the distribution of audio/video content or TV programming by different service providers, free or of some charge (also Ad supported) over Internet (via Broadband or Mobile Data), without the internet service provider (ISP) or any Multiple System Operator (MSO) controlling the content delivery. When we say without controlling content delivery, we mean, unlike IPTV, ISP’s are not responsible, nor able to control the viewing abilities, copyrights, and/or other redistribution of the content. In OTT transmission, ISPs are only responsible for transporting the IP pockets for the content being transmitted through their network, which means they are only restricted to provide internet services as a means to access online OTT content, nothing else. Let’s understand this through an example: You watch Game of Thrones on HBO, which is provided by Verizon. Though Verizon is an ISP, HBO is just linear TV programming; whereas, if you watch the same series on Netflix, which again would require Verizon’s broadband service, you are consuming the content over-the-top as the content is being made available over internet (in this case Verizon), by a different broadcaster (Netflix) and Verizon here has no control over this content. However, this wasn’t the case back in 2014, when FCC Chairman Tom Wheeler had released a plan that would have allowed major ISPs like AT&T, Comcast and Verizon to discriminate between online services and create pay-to-play fast lanes. In this system, ISPs could restrict what viewers can view, access and at what rate over internet. Whosoever paid ISPs to promote their business through a specific internet network would win and small businesses would have taken the exit lane. However, millions of people spoke about it and fought back. Given the huge public and political outcry, Wheeler had to shelve his proposal and bring in Net Neutrality giving internet users strong protection and online services a fair play. OTT service providers generally aggregate the content through licensing from different production houses, studios, distributors and MSOs or generate their own content to be displayed on-demand, pay-per-view, on subscription or even linear ways. Earlier, traditional TV networks were happy licensing their old programs to Netflix, while Netflix was ramping up. However, the whole paradigm has slowly shifted from watching traditional TV to Netflix today, given the ease and flexibility of choosing your content, accessing it at any time and through any screen. Today Netflix surpasses HBO, reaching 83 million worldwide subs. 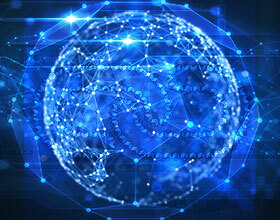 Thus, OTT can be referred to the system of consuming media content through the medium of internet connected devices and services. 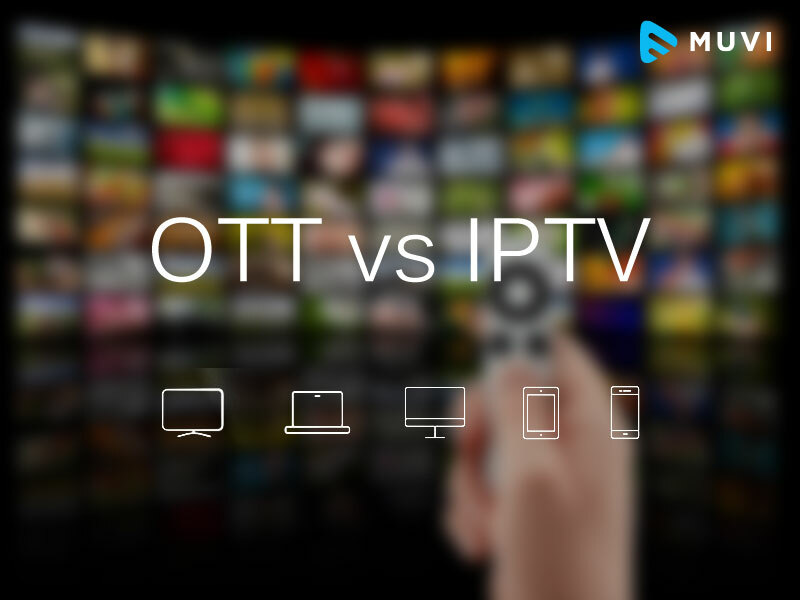 What is the Difference between OTT & IPTV? Let’s first understand what’s IPTV. IPTV is simply the delivery of TV services through an Internet Protocol Suite over a Packet Switched Network, instead of traditional signal, cable or satellite networks. The major difference, you can say between OTT and IPTV is that the OTT content is delivered over a public network (i.e. http) and IPTV is delivered over a private network (Something like UDP), which is generally the MSO’s own infrastructure. OTT here can be a broader term from a consumer/viewer’s point of view as they get to access a variety of content through an OTT service, aggregated on a single platform, along with the flexibility of accessing this content on-demand. IPTV too allows all models for broadcasting its content including Live TV, on-demand and pay-per-view but the problem can be that it is only a limited choice of content for viewers. With HBO’s biggest launch of its own OTT service – HBO Now early this year, a big question on whether OTT will completely take over the Pay TV market has emerged. Surveys keep telling that most of the population is much likely to cancel their Pay TV subscriptions if they get what they want from an OTT service. However, the same audience also say that they will ditch their current OTT service if they find a better service, with fresh and interesting local content at lower cost. One criticism that OTT providers have dealt in recent times is the lack of relevant, fresh content, which Pay TV providers have anyhow managed to secure till now, engaging their audiences and making them stick to their TV boxes. And this is the reason that despite of so much of cord cutting Pay TV still exists and might keep existing if the MSO’s keep providing valuable, fresh local content. OTT, on the other hand will emerge on a global level and gain momentum among younger population. The effect of OTT on Pay TV, we can say is like a slow puncture, which might have entered the tire miles ago, it will keep invading mile by mile until it reaches the core, deflating the system all at once. No doubt, Pay TV operators are trying various defensive strategies and it is going to be interesting to see how far the system survives. OTT has gained immense popularity in last few years, especially with the freedom, flexibility and convenience these services come at. Low cost is another factor that has gained viewers’ attention towards these services as compared to bundled TV services where you pay a huge monthly fee to access content of someone else’s choice. How hot the OTT market is, can be seen with the increasing numbers OTT services are scoring. Hulu has recently announced an annual growth rate of over 30% year-on-year, with the approaching figure of 12 million paid subscribers. Netflix, alone is available in more than 200 countries worldwide, and is ever expanding, ever breaking its own records, having recorded 75 million subscribers recently. Amazon, having launched very recently has scored over 50 million registered users, all of them having access to original Prime content. With different OTT services being launched every day, with broadcasters entering the space, with Pay TV providers planning to launch their own OTT services and viewers welcoming them all in a warm way, OTT race is nowhere close to its finish line. Launching your own OTT live or On-demand Video Streaming platform is a matter of one-click with Muvi. Try our platform for 14 days FREE and grab the streaming OTT opportunity.